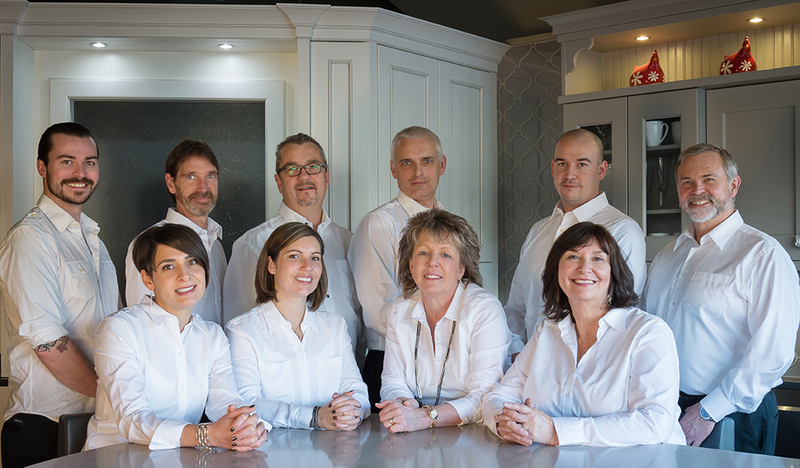 Ekko Cabinetry is based on family values and ethical business practices. We hold a high regard for the relationships that are forged – our value lies in the vested interest we all take in the homes and lives of our customers. Collectively, our current staff of 12 people has over 200 years experience in the construction/kitchen cabinet industry – you can have confidence in our design, supply, installation and service of your product. Our staff was recruited for their priorities in providing an enjoyable, personalized experience for everyone involved.